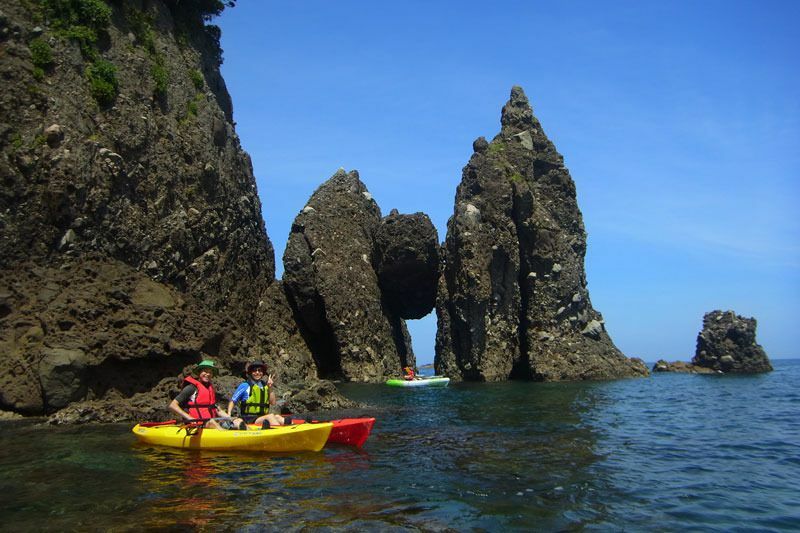 Go out to sea and paddle around in a sea kayak with a Takeno Geo Canoe, exploring the scenic views of San’in Coastal Geo Park. An instructor will accompany you and guide your tour, making it an activity that anyone can enjoy. 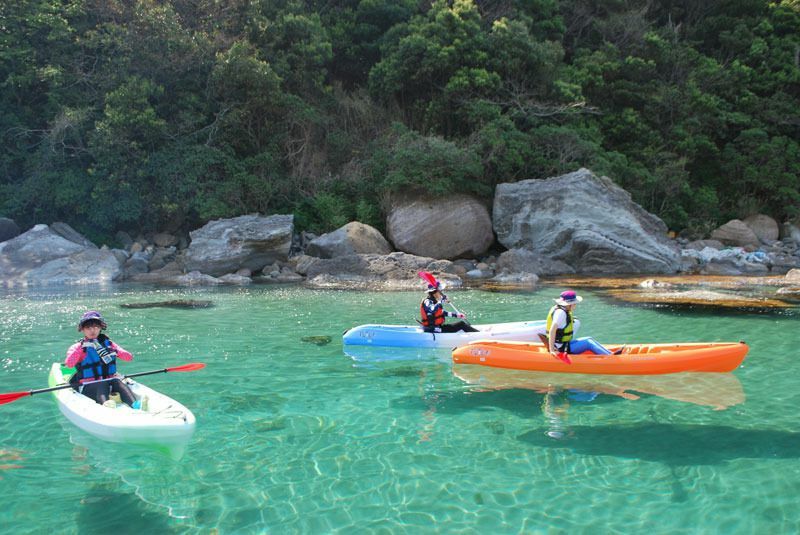 Sea kayaking, or geo canoe (as the locals call it), is a popular marine sport here from spring to autumn. You can make reservations for Mother Earth’s Sea Kayaking at the following link on our Tours and Activities page. The sea off of Takeno Beach has a high level of transparency, making it crystal clear. From spring to autumn, the waters are a beautiful emerald green color and the waves are calm. 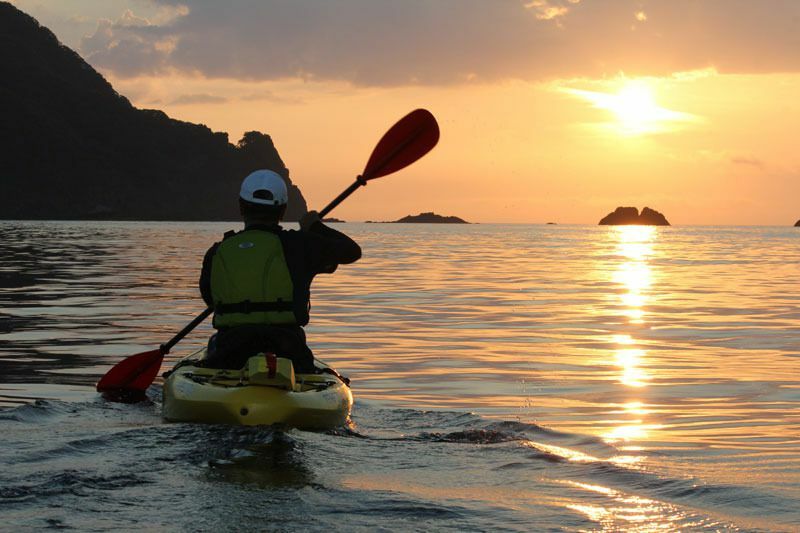 Taking the kayaks out in the evening and watching the sunset at sea is a particularly breathtaking sight. You can also see one of the symbols of the San’in Geopark, Hasakari rocks.